The Clouds Over Aurora - Angels Perhaps? I see an angel in each photo taken? 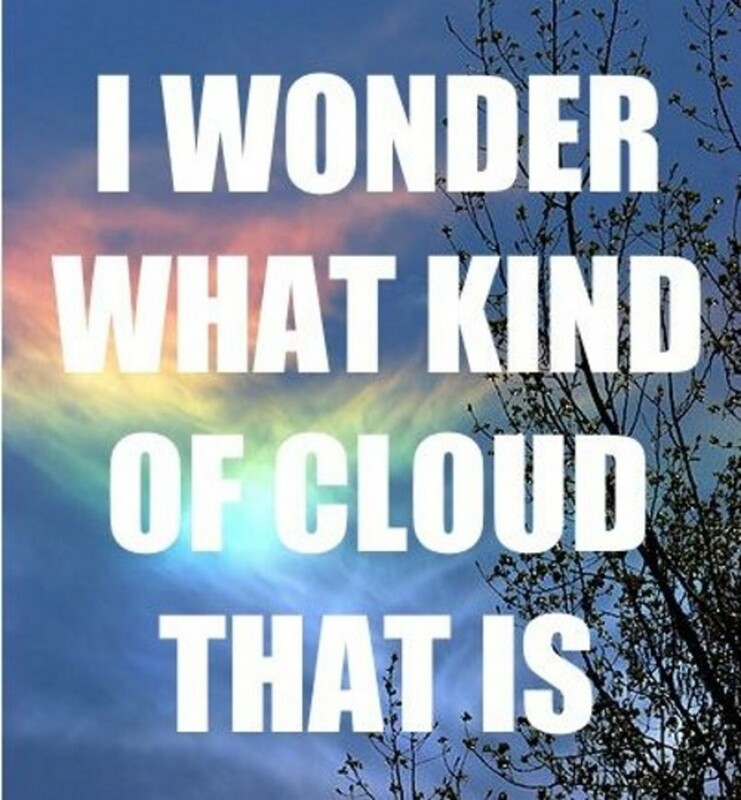 You see just a bunch of clouds? We are just seeing clouds in the shapes of angels? I just want to see what I am hoping to see? We are just seeing a coincidence that the clouds are shaped like angels right at the precise moment the prayer vigil is taking place in Aurora? 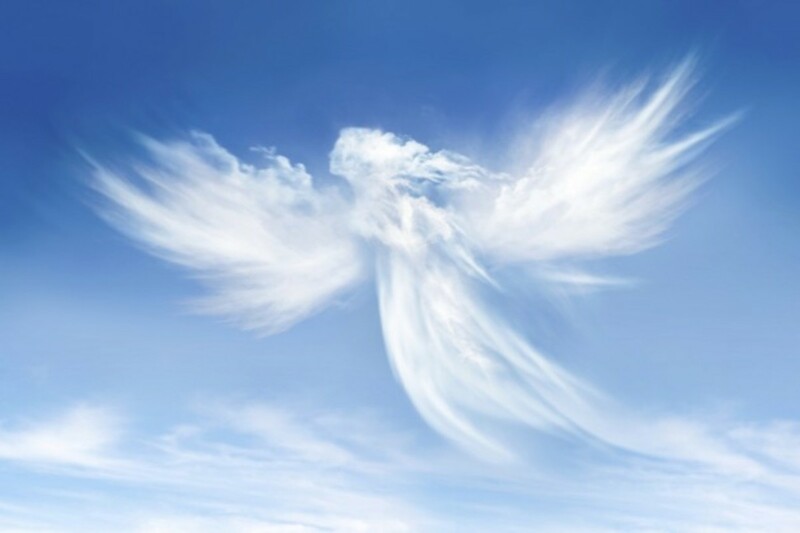 It is just another coincidence that on another day, different clouds still appear to look like another angel? I am crazy to even think such? I just think these are cool photos either way? I am given a little hope in seeing these photos? It is true, that there are angels in these photos? It is true, that there are no angels in these photos? God placed those clouds there, at that very moment, not for us, but for those suffering? What do you see in the photos? I see clouds in the shape of angels. Pareidolia . . . What? According to en.wikipedia.org, the word to describe seeing images of animals or faces in clouds, the man in the moon or the Moon rabbit, and hearing hidden messages on records when played in reverse is the word pareidolia. Ten thousand dancing in the breeze. And dances with the Daffodils." 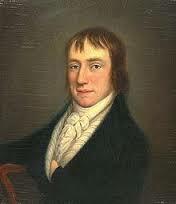 In 1815, Wordsworth revised the poem, replacing "dancing" with "golden"; "along" with "beside" and "ten thousand" with "fluttering and". Then, he added a stanza between the first and second, and changed "laughing" to "jocund". The last stanza was not touched. 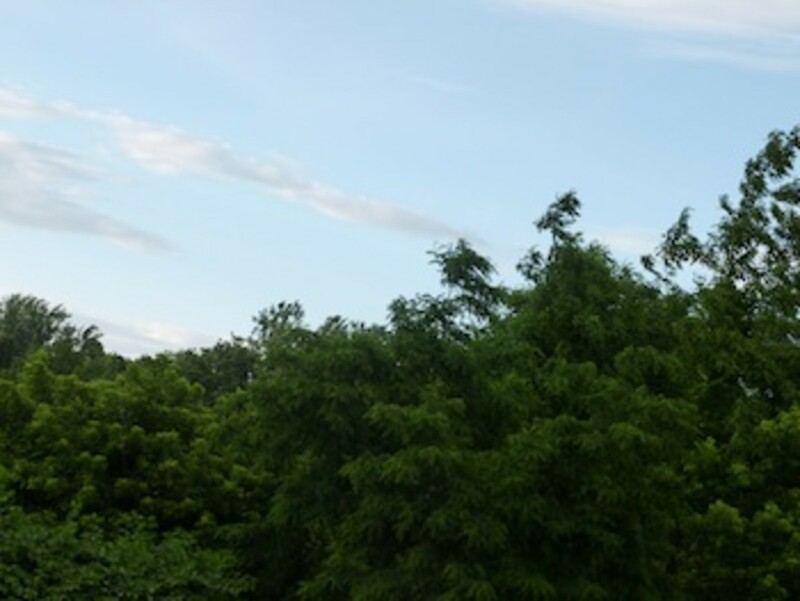 There are three main types of clouds found in the sky; however, they have many derivatives. 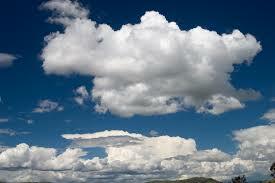 Cumulus clouds are white and fluffy, like cotton balls. 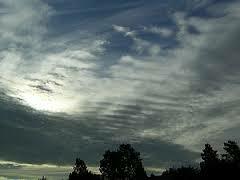 Stratus clouds are flattened sheets of cloud that may stay in place for some time. 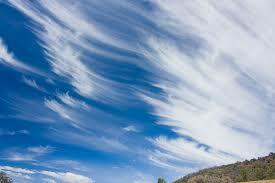 Cirrus clouds form very high in the sky, and are made up completely of ice crystals. They are wispy and light; and look a bit like feathers in the sky. Helpless to protect themselves from the marauding band of Ute warriors, the citizens came together and prayed to St. Acacias, a well-known Roman Centurion who martyred himself for his faith. 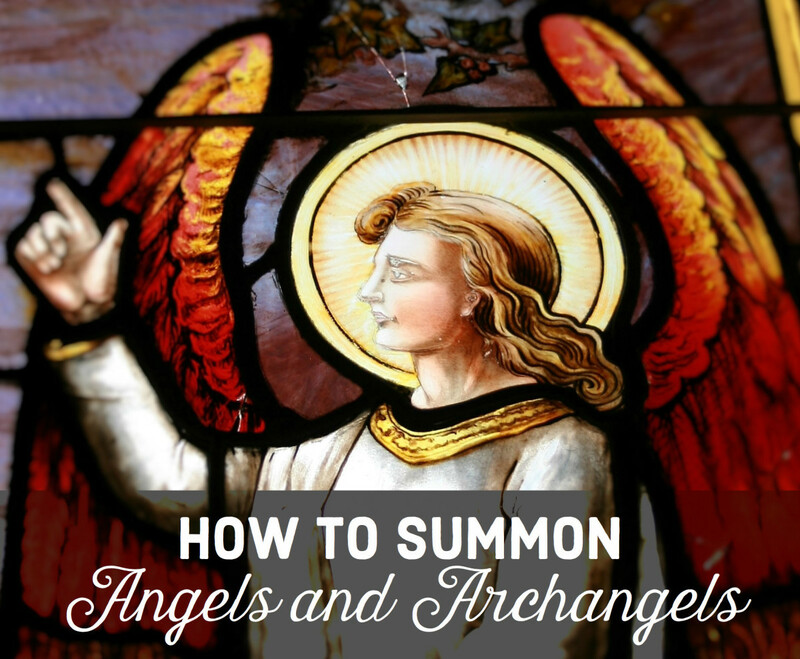 Angels - Do You Believe They Help You in Times of Emotional or Physical Crisis? Thank you so much for digging this one up again! You are such a treasure. I believe that small children are able to see the angels so much for so than we are indeed. I appreciate you sharing all of this most interesting information as to these facts you have shared here, which add much to the topic of this hub here. You are such a beautiful daughter of the King. Thank you, sweetie, for your lovely and insightful comment. I believe that there are people who are blessed to see angels and such likes. Rev William Branham back in 1962 saw a mysterious cloud in the shape of a man's head with a wig on it. Just like Revelation said with God having on a wig on the judgement throne for when he's ready to judge this sinful world. William was taken up by a whirl wind into the clouds where he saw a vision and was given revelation for the opening of the seals This happened in Arizona USA. 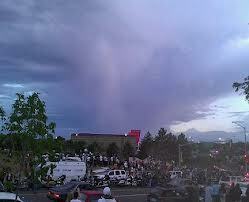 Science captured this great mysterious cloud and its in the museum in America. Also there was pillar of fire that accompanied this prophet at most of his healing or preaching sermons. Which was also captured. What a lovely visit from you here this day! Oh, how very interesting, and I would love to read your hub too. I appreciate the vote up and link! I am very well thank you sweet friend. I just really love your new profile photo! How precious. Thanks so much for your visit here this night. Yes, my guardian Angel has been there for me, as far back as I can remember, as a young child no doubt! Hope you are doing well too. I have been missing you here on HP. Dear Faith, How are you. Hope everything is well. This was a fantastic hub. I see clouds in the shape of angels. 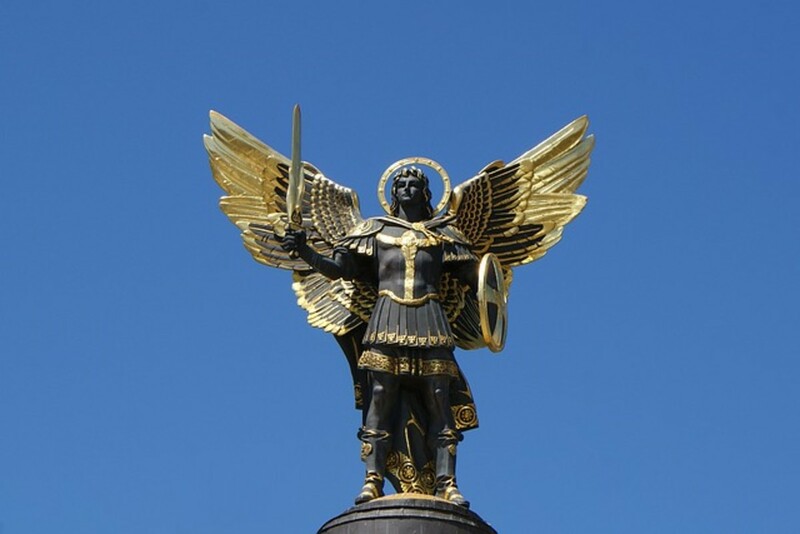 My guardian Angel Michael Archangel has been present in my life many times. It's always so comforting to know that they're watching and protecting you from up above. God Bless. sending hugs your way. Just saw your sweet comment back to me. I am so humbled by your very kind words. You are great. SMILING TOO! When I read your writings, I receive such a blessing each and every single time. Oh my, Faith Reaper! How did I forget that I even had a little story about my experience I put on my Facebook's "Religious Views". I can go back to it when I am ready to transform it into a hub here. Thank you so much! Please do not fret over the dates and your memory of all the details on this day. The Holy Spirit will reveal all to you before you know it, maybe in your dreams and/or visions or just your memory alone. I will pray He does such, as why would this not be His will for you to not share such a truth as this here? You heart is so beautiful and I stand amazed. Even if your aunt cannot send the picture . . . the beautiful story will stand alone no doubt dear one, as I have great confidence in your astounding gift as a writer. Now, my heart is filled with joy at your excitement! Oh my Faith Reaper, I just want to make sure now that out from my recollection at Marmora farm that I am talking about the same visionary. I was putting my comment up here without also thinking about the dates thoroughly. Now, I feel silly. I do remember there was a young girl visionary too, and I am now confusing myself with Dory Tan, a woman visionary I think was the right person at that time. She had many visits to the "Holy" farm (summer 1993) where the Virgin Mary would summon her to give her messages by the 10th station of the cross. 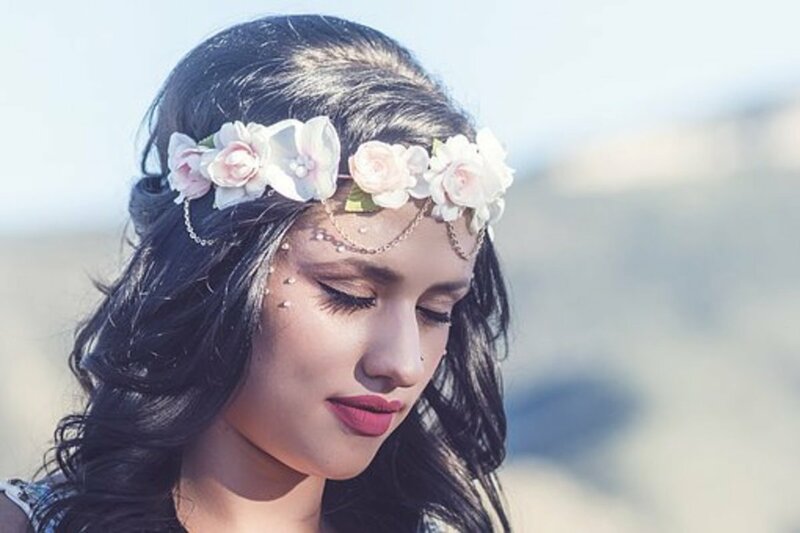 I have quickly searched about the Marian apparitions online in summer of 1993 and found a very similar events when I was there, and this visionary is Dory. I don't know if there were more of these visions later that year and each year that comes. I was only there once. There were Stations of the Cross on the hilltop (overlooking the farm), and masses were said there too with claims as one of the messages to invite priests (a number of them) for that special big day at the location. This was relayed to me by my aunt noting that there were many priests around a stage put up for them to hold mass. She learned about "the advance notice" from a newsletter which drove lots of people to the Marmora grounds that day. In one big mass at the farm, I am not sure if I was seeing seven priests but it looked more. And so when I found about the visionary Dory online, there were more than a dozen priests; I had not counted them exactly. I arrived in Canada July 13, 1993. That was 19 years ago. My 22 year old girl now who will be a part of my story was still 3 at that time. That dancing sun in September at the farm seemed July to me and yes, I remembered complaining that it was cold, *sigh*. Honestly, I could be mistaken with my dates. I'll have to check with my aunt. I'll based it on how much I can remember and I'll pray that the Holy Spirit will guide me to remembering the right moments. I just think that the family who owns the farm are so so so blessed! I have to write my aunt if she could send me the photo. I gave it to her for I was afraid that it might get lost with me. Thank you for your encouragement. I'd like to share this awesome experience to everyone. Opinions are open since man have different faiths, but one God. I am so excited! First, I have to have the picture back. So glad to see you stopping by to read here. LOL, you are too cute. I am glad you see angels - me too! Wow, dear one, what an amazing story. You should write a hub about your amazing experience and ask your aunt for the photo back just to place on the hub. Thank you so much for sharing your lovely experience with me here, which really adds so much more beauty to this hub just by your very presence and your sharing. Bless you for that dear one. I am always so blessed to read your writing and you are an awesome commenter. There is no button for awesome comment on here, but I give you one from my heart. You are too kind to me with your words. Perhaps, I don't question it myself anymore. I see angels! I believe and take symbols as they are before me especially if these symbols are from Above. I had witnessed the dancing sun in Marmora, Ontario on my first few days arrival to Canada of July 1993 attending a wide vigil of the Marian apparition to a young girl in this little lot farm where a natural flow of water also have been blessed as Holy Water. I think but not clearly remembering that there were seven priests who held mass on the farm that day. It is a long story for me because I have beautiful chain of experiences in that place at that moment which were mysterious to me, and I can't help it but share that I had taken a photo shot of a floating "smoky" image of the Virgin Mary (arms extended) in the foreground against dark pine trees. I gave the photo to my pious aunt for safe keeping. This, I have considered as my most precious gift from Above welcoming us to Canada. Beautiful and awesome and pinning! I am so glad for your visit here tonight. Thank you so much for your wonderful comments. I see angels too. I am so glad you enjoyed the video and told me that you had. I appreciate you. 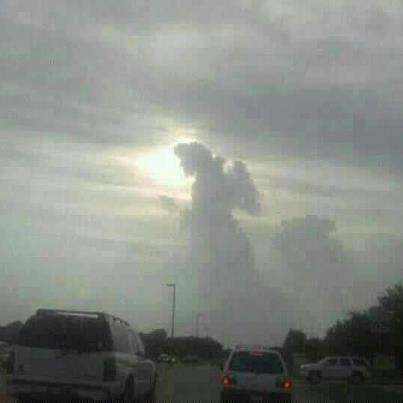 I certainly see angels in the clouds! Beautiful Hub with beautiful photos. I enjoyed the video too. Wow! So cool! Especially the first photo. Wow - I too see the Angels and how beautiful! God is amazing in all that He gives to us. Thank you for sharing your lovely words and the amazing photos from above. Awesome! I did see the angels here and find it very comforting. Blessings! Faith, this piece is simply stunning, if the images in the clouds are real, given the time and place, this would be incredible. This was very awesome! I see Angels! Wow, what a view! So beautiful, how could one not believe after that? "The angel of the Lord encamps around those who feat him and rescues them". The would have, could have, should haves are revealed in your poem beautifully. You showed how each has his own belief and that is O.K. Faith , Faith moves mountain , what ever you saw , it's the faith which is the most important thing. Great Hub ..voted up ! Hi my friend, it may be by the hand of God or perhaps it may just be done in photoshop.......perhaps ! Cool poem enjoyed reading it ! Voted up and awesome. Faith I do believe that God has sent His angels to look over all. They are meant to heal the pain. Thank you so much for this hub. God bless. Yes I see the angels. How wonderful to be able to photograph them at that moment. A very different and peaceful hub. Thank you. Wow, Faith-I see angels too in the clouds. Your photos are amazing and the poem is beautiful! God at work again! Thanks so much for sharing this with us! Voted up! Beautiful Faith, lovely indeed! Thanks for sharing Faith! God provides our needs and he has given us angels. They walk with us everyday. And, sometimes our need is to be shown to us in times of our greatest need. Awesome, beautiful and voted up. Love the music as well. This was an what the angels wanted me to see this day. Thank you for sharing. Thank you for sharing this with us. God is still with us, and He sends his angels for us. We may not understand everything, but God still loves us. Wonderful. God will show us ways He is still with us. Faith, they may not be angels, but they look like our idea of angels. Too cool that they appeared over a prayer meeting! God works in mysterious ways, His wonders to perform. A lovely piece of writing my friend! Well done!